Wizards of the Coast has released a new version of Dungeons & Dragons that should be easier for young children to play. Ever wish you could include your young child in weekly play of Dungeons & Dragons instead of locking him/her in the basement until the adventures have concluded? Shockingly, now you can, thanks to Wizards of the Coast and its new pen-and-paper game designed for players age six and up: Monster Slayers: The Heroes of Hesiod. 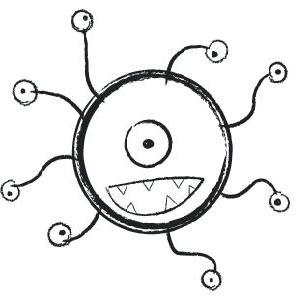 While regular Dungeons & Dragons play might be a little complicated for some kids as young as six, Monster Slayers has easier rules and doesn't require the commitment of a full D&D campaign. It also has simpler art that won't give kids nightmares about a scary Archlich enslaving them. Monster Slayers: The Heroes of Hesiod is the perfect way to start brainwashing, I mean teaching, a future Wizard or Barbarian ally. Wizards of the Coast believes D&D is educational, like most games, helping to teach skills in math, reading, writing, cooperation, problem-solving, and creative thinking. Beginning to learn these skills is another benefit of Monster Slayers for younger children, in addition to the fun factor. All that's needed to play are some pens/pencils, paper, and fifteen minutes to an hour. It's also designed for more casual players of D&D or those new to the game. So how much does it cost? Jack. By jack, I mean nothing. Monster Slayers can be downloaded for free off of the Wizards of the Coast website. I have no kids for no woman shall willingly bear my fruit, but I know someone out there that enjoys a fine dungeon crawl must.